So you want to learn Swedish but you just don’t know where to start… don’t worry, I’ve been in your position too. It’s especially difficult because there’s just not as much demand for Swedish in the world of languages. People tend to lean towards learning languages that are more widely spoken such as French, German and Chinese. Luckily for me, I have a Swedish boyfriend so learning Swedish has definitely been an easy hobby. I’ve been learning Swedish casually for almost two years. Through experience, I’ve noted down some helpful tips that have fast-tracked my linguistic journey. I hope that they will help you on your journey too! Keep in mind, I haven’t actually paid for any formal Swedish classes so all my tips will require committed self-learning and a lot of dedication! I begin by offering my best advice- WATCH SWEDISH TV AND MOVIES. It is the best way to immerse yourself and get acquainted with the tonality and melody of the Swedish language. Begin by watching with subtitles and eventually you’ll pick up on common words that are often used in casual conversation and speech. Otherwise, you can watch some Swedish TV online at SVT Play. There are some great Swedish Youtubers who create content entirely in Swedish. 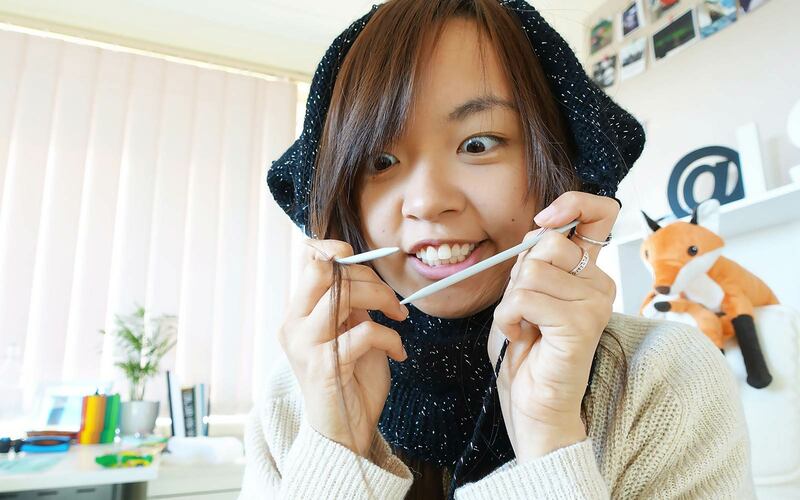 One of the most popular Swedish YouTubers (besides PewdiePie) is Clara Henry. The great thing about Clara is that she always has English subtitles for her videos although I do think a bit of the Swedish humour is lost when translated. She’ll be right up your alley if you’re into female empowerment and mens talk (mens = menstruation). Once you start watching one Swedish YouTuber, there’ll be heaps of recommended videos from other Swedish YouTubers. 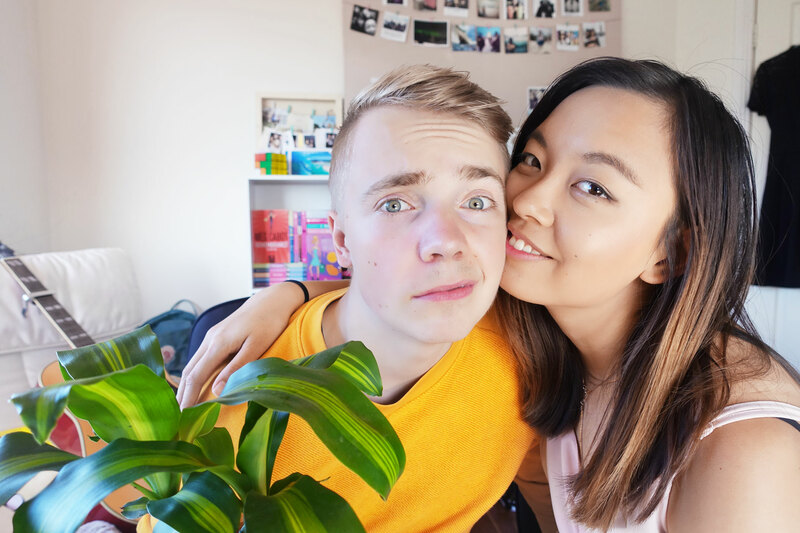 If you’re looking for YouTubers who actually teach Swedish, I would recommend TheSwedishLad. I’m a bit biased though because he’s a friend and acquaintance of mine… but he’s super friendly so hälsa him for me! (hälsa = say hello). I’ve also started my own Swedish series on my YouTube, so if you want to join me on the Swedish learning journey, feel free to subscribe! I listen to Swedish music every single day. 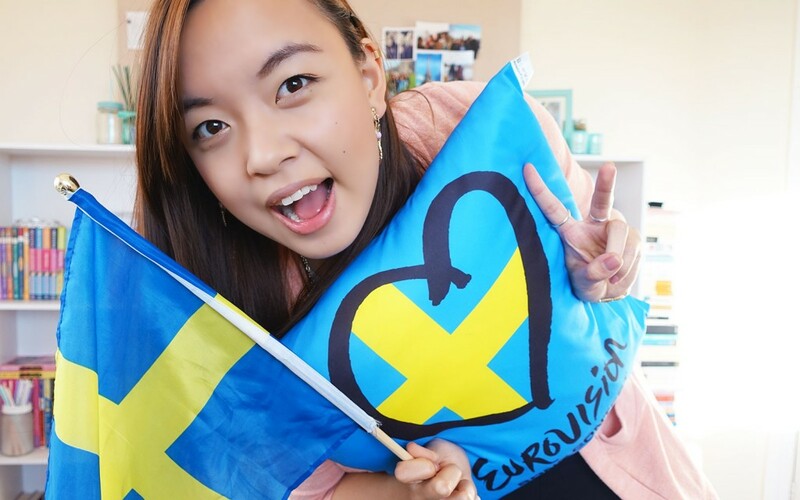 I’m a huge fan of Europop and Europop in Swedish is the icing on the cake. I like to try and learn the lyrics of my favourite Swedish songs and I always write the lyrics down in my Swedish journal. A great way to discover some Swedish pop tunes is to watch Melodifestivalen on SVT. I’ve discovered some top notch and pretty underrated Swedish musicians through the competition. If you’re not into the corny pop stuff, I recommend Veronica Maggio as I think her music will be pleasing to the ears for anyone. Spotify, iTunes and YouTube are great ways to find related artists too. Above is my Scandinavian spotify playlist, “Skandi Musik“ if you want to follow along! 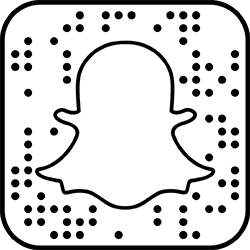 I update it quite regularly. Another great way to start understanding Swedish is to read Swedish children’s books. It’s a great way to acquaint yourself with basic Swedish and you also get the added bonus of beautiful illustrations. 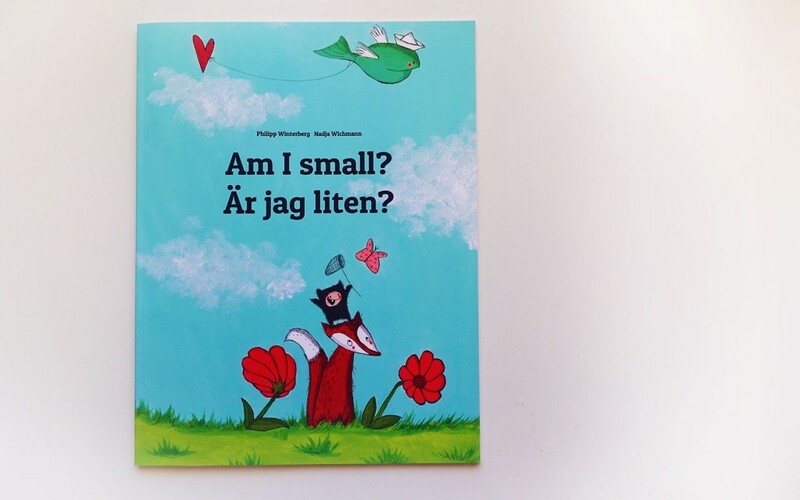 There are some bilingual Swedish-English books available– my personal favourite being “Är jag liten” by Philipp Winterberg and Nadja Wichmann. 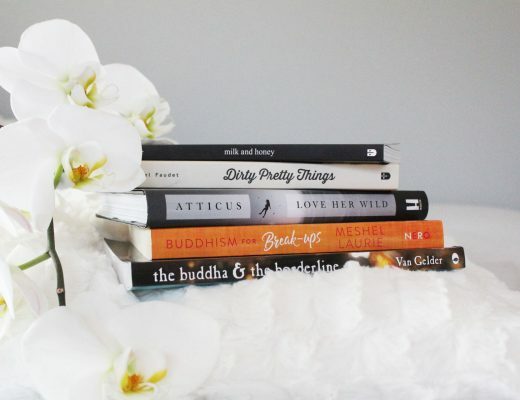 If you’re past the basics and are feeling brave enough, you can go ahead and start reading young adult novels entirely in Swedish! 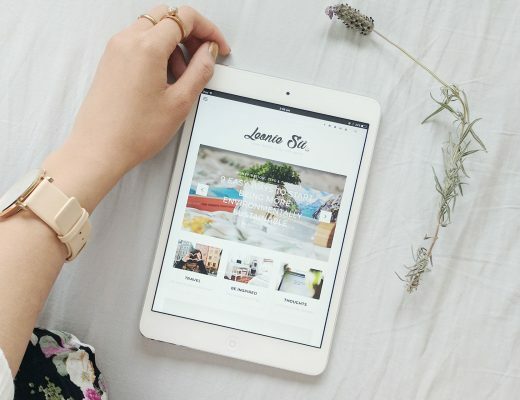 Sometimes looking for free Swedish language sources is difficult and a lot of times, it’s hard to know where to even begin learning a new language. This is where ‘Teach Yourself’ textbooks can come in handy. They’re also a great way to focus on grammar. 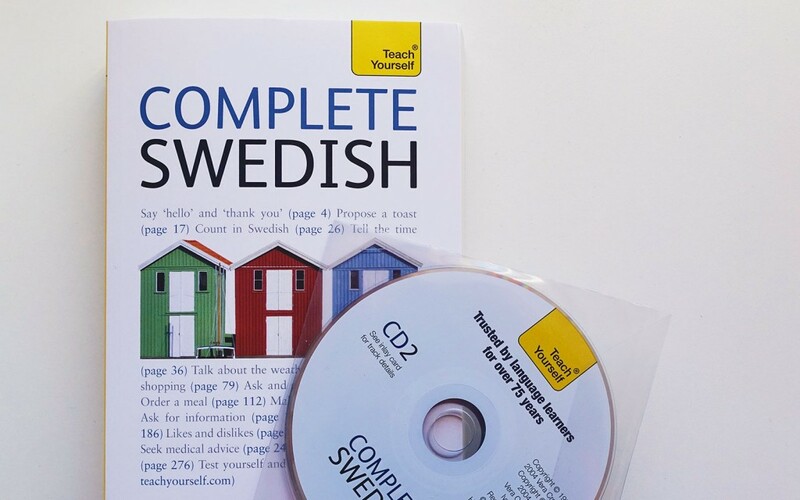 I purchased the ‘Teach Yourself’ Complete Swedish CD and textbook set, but to be honest I haven’t had time to actually sit down and go through it. It will require that you dedicate your spare hours to sitting down and immersing yourself. So if you have that time, go for it! Technically you don’t need a Swedish dictionary especially with the power of Google translate… but it does come in handy! 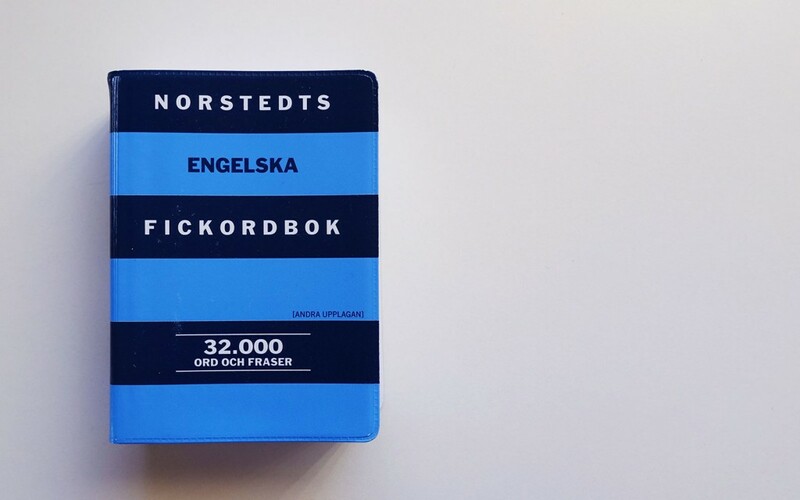 The dictionary I purchased is Norstedts Engelska Fickordbok and I love it because it’s mini and lightweight. There’s also an app on Google Play if you prefer a digital copy. What I like to do is flick to a random page and learn a new word whenever I have the chance. Knowing how to read and write Swedish is great, but you also need to learn how to speak Swedish. 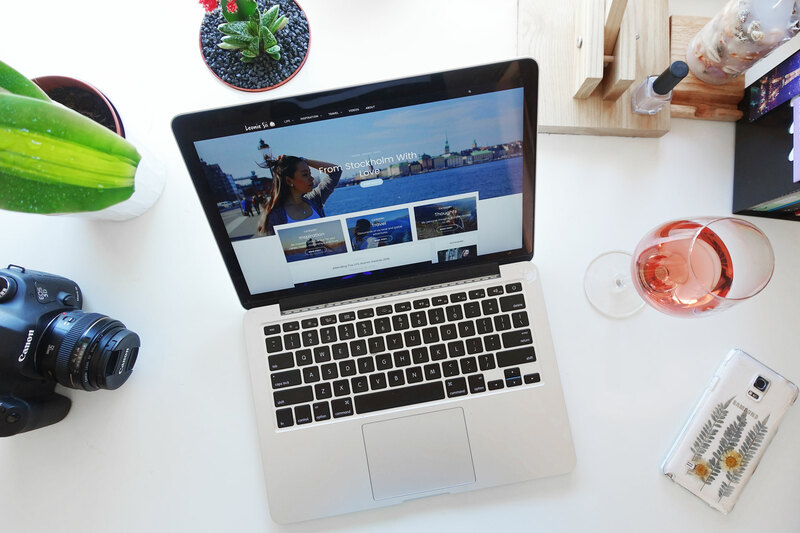 If you’re planning to study abroad or move to Sweden, you will definitely want to harness all your Swedish knowledge and converse with the local Swedes. Of course, you can definitely get by in Sweden without speaking a word of Swedish. It’s a known fact that the Swedes are exceptional when it comes to speaking English as it’s compulsory for them to learn it in school. 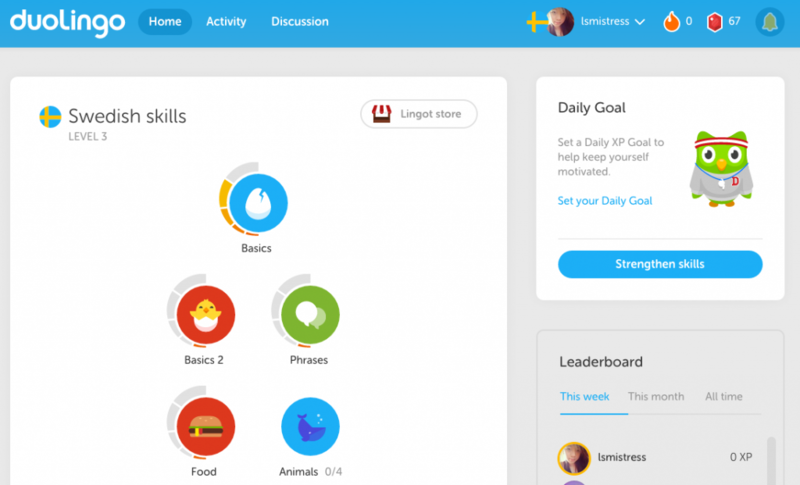 If you’re looking for a more structured way to begin learning Swedish but you don’t want to spend any money purchasing textbooks, Duolingo now offers stage-by-stage lessons for Swedish. 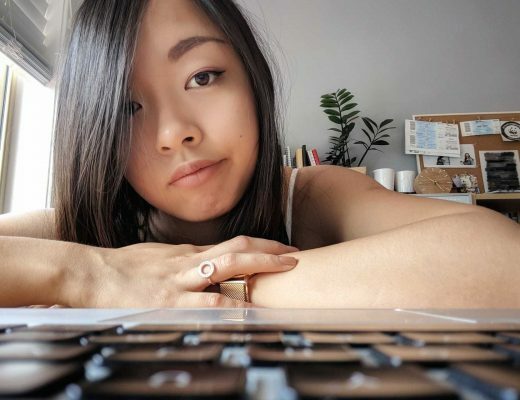 I used Duolingo to refresh on my basic French skills before I went on my year abroad in Switzerland. It’s great because there’s a ‘reward’ system so you really feel like you’re progressing your skills. My only minor issue is that it can get a little repetitive, however it’s a great way to add new words to your vocabulary. I would assume that you’re learning Swedish because you’re interested in the Swedish culture. Learning Swedish isn’t just about nailing how to properly pronounce ‘hamburgare’ (hamburger), it’s also about discovering the wonderful world of Sweden including its politics, history, traditions and cultural quirks. 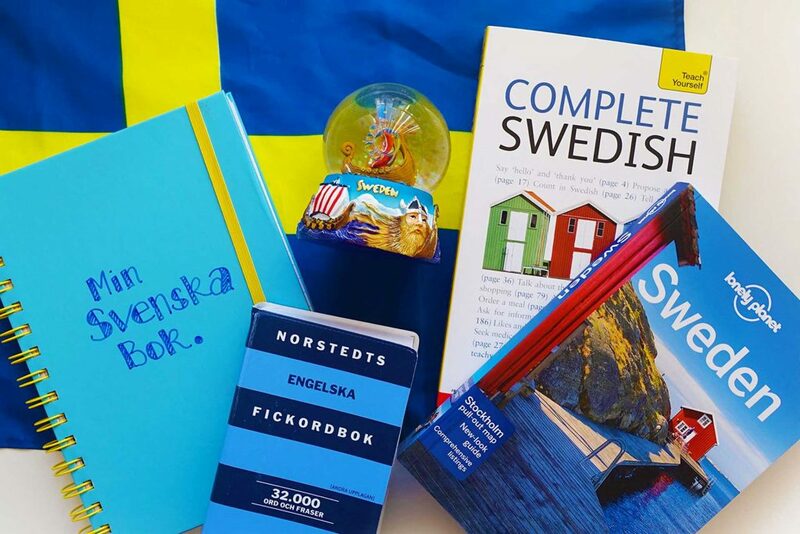 Pick up a copy of Lonely Planet’s guide to Sweden and plan your adventure! 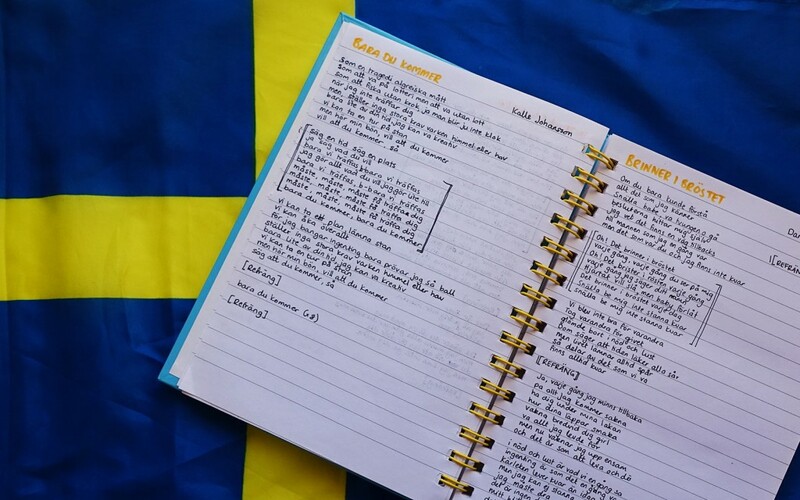 I mentioned above that I like to write Swedish lyrics down into my journal, but it’s also a great way to keep all your Swedish learning all in one place. 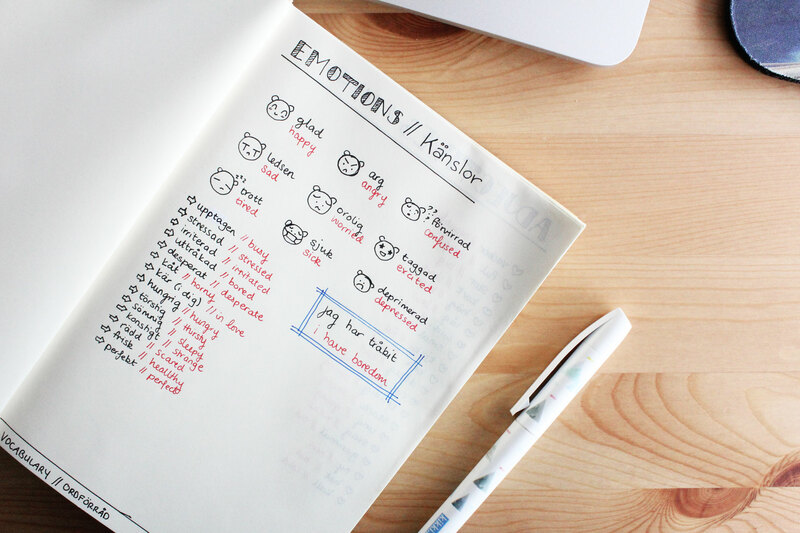 In my journal, I like to write down a list of related words on a particular topic (e.g. ‘colours’, ‘feelings’, ‘stationery’). I find that my memory works a lot better if I write things down! 11. Have some fika. Because we all deserve a break. 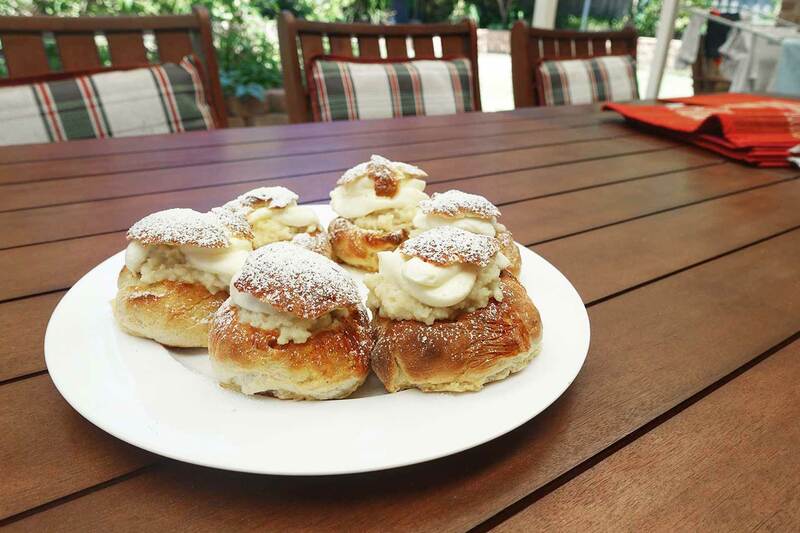 I mean, doesn’t this semla looking super appealing? 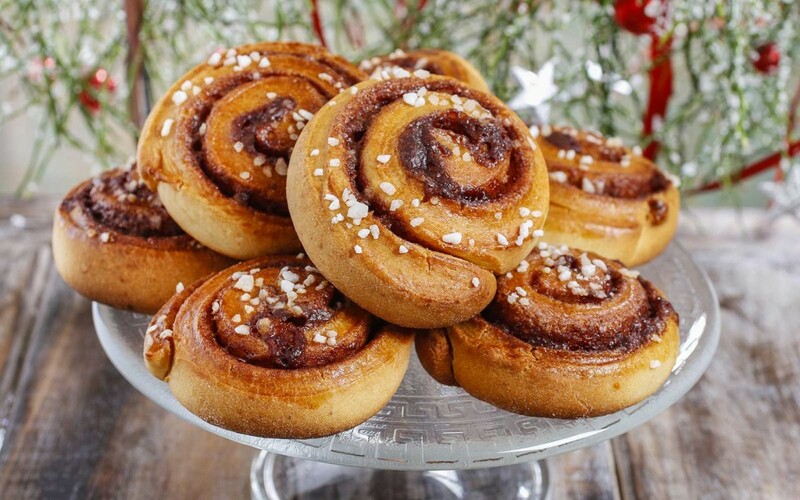 What about these kanelbullar (cinnamon buns)? 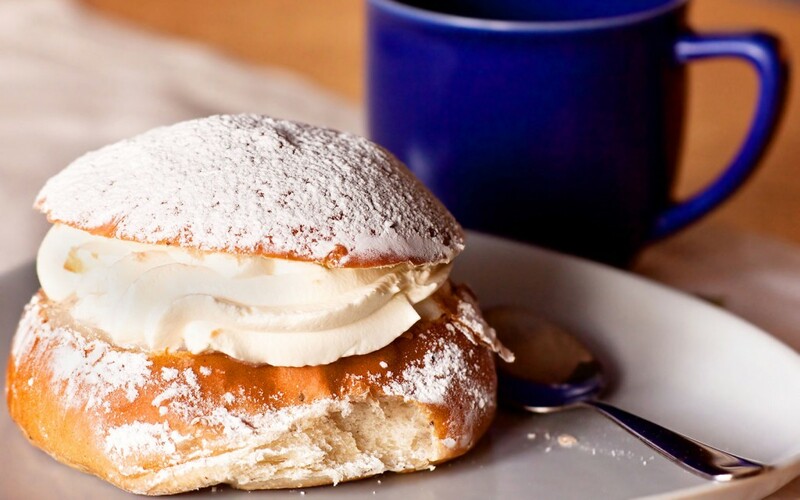 The Swedes are the Kings of fika. You will soon come to know this when you step foot in Sweden! So there you go! Those are my tips to learn Swedish. I hope they will be beneficial to you on your linguistic journey. 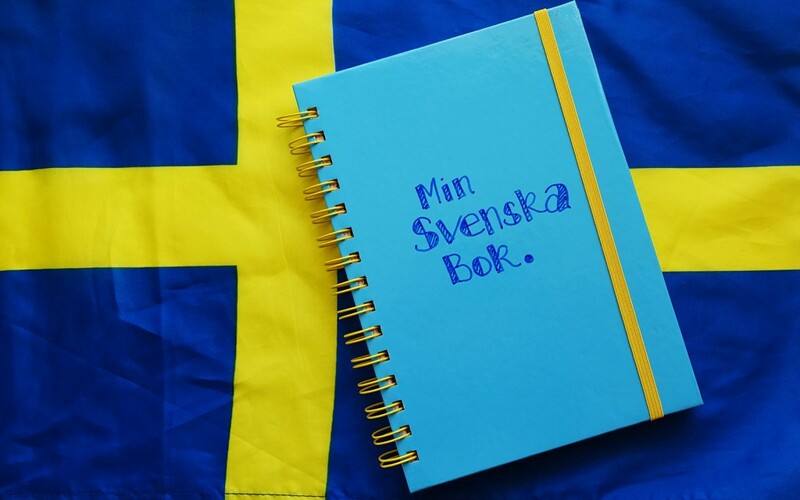 Even if you’re not learning Swedish but are keen to learn a language, these tips will still be applicable! 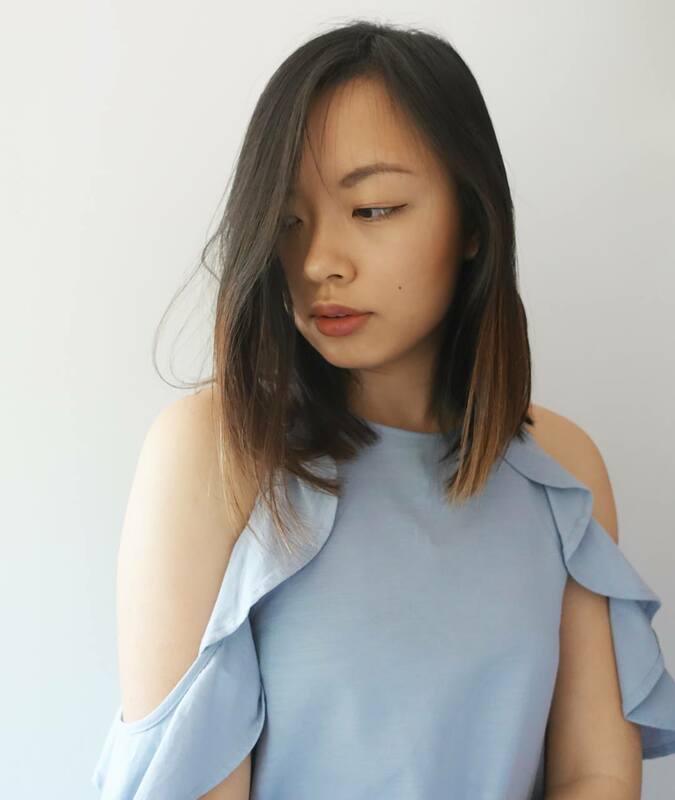 If you’ve stumbled upon this post and made it this far, I’d love to know what made you interested in learning Swedish. Please leave a comment! And if you liked my tips, please give it a like and share with your language-loving friends!